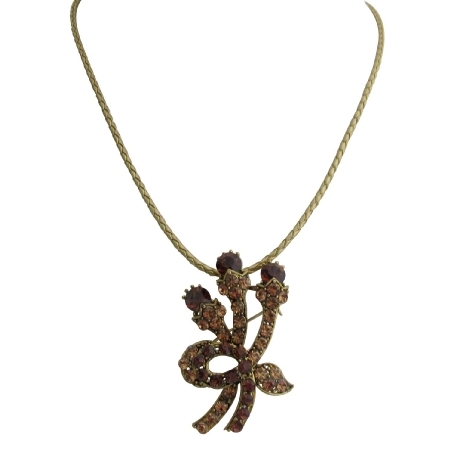 This beautiful profusion of swirling encrusted with Smoked Topaz & Lite Colorado Crystals in a channel Setting encircling & brilliant Pendant on Antique Gold plated framed Bouquet of Crystals has 3 Crystals buds in Smoked Topaz on Lite Colorado Crystals stem with leaf & beautiful bow crossing. This fabulous gorgeous pendant adorned in high quality gold rhodium plated. This would be great gift or for yourself.